Narcissism is among those psychological problems in which a person develops unrealistic perceptions about his or her own importance. Moreover, they lack empathy, frequently blaming others, thinking too highly of onseelf and other such traits are the characteristics of a narcissistic person. 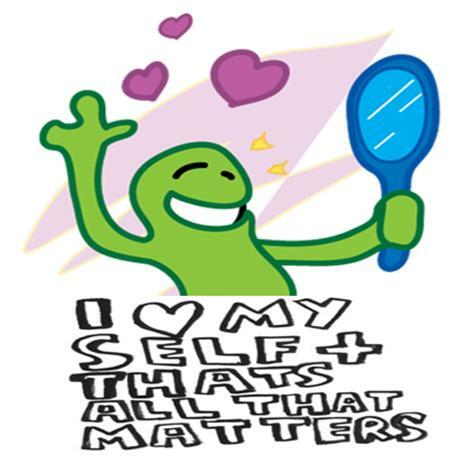 Narcissistic Personality Disorder (NPD) can also be described as conceit, egoism, or simple selfishness. The interesting story behind narcissism shows that Narcissus was basically a very good-looking young man who fell in love with his own reflection or mirror image. Since then, the term narcissism is used for the people who think that everything is all about them. Being the wife of a narcissistic husband is no doubt a very challenging job as he can be arrogant, emotional, and impossible to satisfy. However, that doesn’t mean that Narcissistic Personality Disorder is impossible to deal with or one should leave the husband in this condition. After all, he needs all your support to get out of this condition or to survive with it. There are a number of ways you can adopt to deal with a narcissistic husband. The very first thing you have to do is convince yourself that you have to survive with the Narcissistic Personality Disorder of your husband in any case. It gives you strength to accept and handle the reality you have to tackle. The second thing you have to do is put up a strong self-esteem in order to prepare yourself to not let your narcissistic husband break you mentally and emotionally. He can get to your nerves by irritating you for minor issues. BUT, you have to ignore his snide remarks and tolerate him for who he is. Thirdly, until you are living with a narcissistic husband, you have to give up your own dreams and wishes. It will be very tough for you fulfill your own desires as you cannot expect much support, care or love from him. However, you also have the choice to leave him if you wish to. Do not take the promises of commitments of your narcissistic husband seriously as he will fulfill his promises based on his own selfish reasons. In short, do not expect him to be loyal to you as he can deceive, lie and cheat without thinking about you even for a second. He loves cheating as it is a source of excitement and enjoyment for him. Moreover, do not expect your narcissistic husband to feel regret while cheating on you. Simple is the formula in a narcissistic husband’s case; your pain, his pleasure! Fourthly, it is better for you to create a support system outside of your household in order to relax yourself. Make sure to stay in contact with your other family members, friends, colleagues or mental health professionals. You can share your problems with them and can get some good and sincere suggestions in return. If your narcissistic husband is cheating on you or irritating you for nothing, do not forget that his behavior is not normal by any standards. You are the one to decide that whether you want to stay with your husband during his mental illness or not. If you decide to stay with him, make sure to do it for your own personal reasons, because expecting anything in return is useless. There are no medications purposely used to deal a psychological problem like Narcissistic Personality Disorder. However, you can consult the best psychiatrist of your area to discuss the available treatments including Cognitive behavioral therapy, Family therapy and Group therapy. Make sure not to miss the appointments with the psychiatrist in order to achieve the desired results. Note: Do not be impatient for immediate results as it takes time to change the personal traits. Therefore, these psychotherapies can take several years.